Mark "PDX" Eggleston passed away suddenly earlier this month. 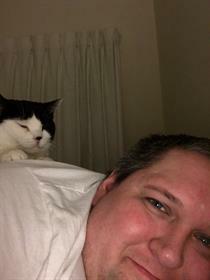 At the request of his family, we've setup this page for donations to the Oregon Humane Society, where he adopted the cat he loved so much, "Cherry" AKA "Malygatos". Outside of the money raised here, $3210 has been donated in Mark's name. Thank you so much everyone! In memory of my friend Mark and for the kitty that brought him so much joy.